Lowdown: When a plan to pre-emptively kill would be criminals goes awry, Captain America is the only one standing between freedom and suppression. 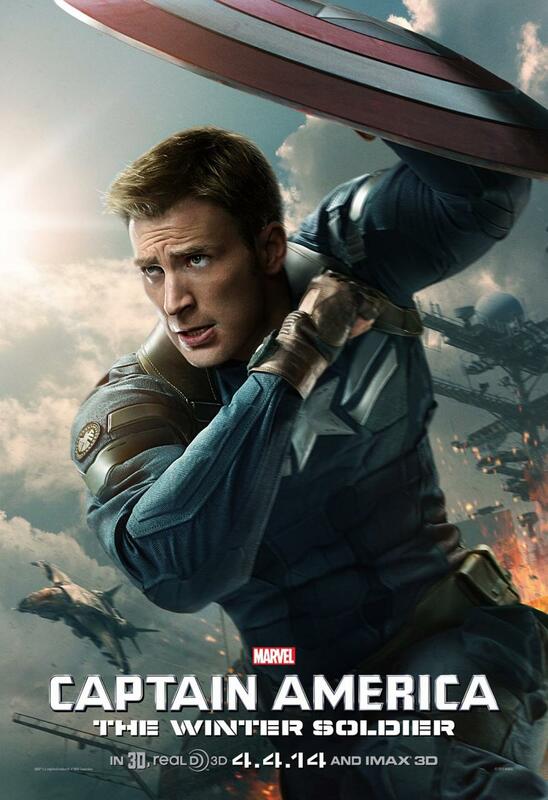 I admit, coming off the boring Captain America: The First Avenger, I had my doubts as to the value for time wasted I would get out of its sequel, Captain America: The Winter Soldier. Yet I have to say, in retrospect, that other than the poor choice of a name this one is one of the best superhero movies around; definitely the best as far as the classic Marvel superhero universe is concerned. And I’m pretty sure the likes of George Orwell and Edward Snowden would give it their thumbs up, too. Following a James Bond like introductory action scene on board a ship, that felt to me like a carbon copy of a Call of Duty mission, we are introduced to the movie’s main premise. Our good guys at SHIELD have been secretly busying themselves building an armada of flying carriers capable of both mass surveillance as well as the elimination of any criminal activity from above, God style. Nick Fury (Samuel L. Jackson) and the SHIELD CEO (whatever his title really is, he’s played by Robert Redford) gave their blessing to this project, but our Captain America (Chris Evans)? He’s not so sure the idea of pre-emptively ridding this world of would be criminals before they actually do anything wrong, Minority Report style, is a good idea. Not even when it’s the good guys that are running the show. Guess what happens next? Yes, things go wrong. First it’s Fury that’s taken out of the picture; then it seems as if the whole of SHIELD has turned upon itself in its obsession to erect this new justice system. And only Captain America is there to save the day, with the exception of fellow Marvellian Black Widow (Scarlett Johansson, whose role is almost as big as Evans’); apparently, all the rest of the Marvel superheroes were on their day off. Plenty of good action follows, but the core theme is unmistakably Edward Snowden-esque: the supposedly well meaning, very well funded government organisation that takes it upon itself to keep an eye over what everybody else in the world is doing all of the time in the name of creating a safe society but, in the act of doing so, deprives this safe society of any shred of freedom; freedom in the age of the NSA is but an illusion. And as the baddies of Captain America: The Winter Soldier put it themselves, they are seeking the public to hand them over their freedom voluntarily in exchange for security. Which is exactly what those justifying the NSA, from Obama to George Brandis, have been doing. Clearly, we need a real life Captain America in order to deal with those (but have to settle for the much leaner Snowden instead, which goes to show that in contrast to the stereotype, real life heroes don’t have to come with bulging muscles). Winter Soldier does borrow from numerous conspiracy theory flicks, most notably Three Days of the Condor (perhaps this is no coincidence, given that one stars Robert Redford). Make no mistake about it, Captain America: The Winter Soldier is still a mass entertainment consumption unit. Its main forte is high budget explosive action scenes, not philosophy. However, as far as the potential to open viewers' eyes as to what is going on nowadays in our modern day "democracies", it probably reaches much larger audiences than anything published through Snowden. Overall: A few more movies like this and audiences might actually start asking what’s going on in their societies. Captain America: The Winter Soldier deserves 4 out of 5 well read on their Orwell crabs.